Join us at select Kum & Go Growler Filling Stations on Friday, June 22, 2018 from 4:00 – 7:00 PM for a special beer release of the Peace Tree Brewing I Can’t Believe It’s Not Bitter New England IPA (available only at Kum & Go locations and Peace Tree taprooms)! We will have a LIMITED NUMBER of commemorative Des Moines Beer Week 64-oz. 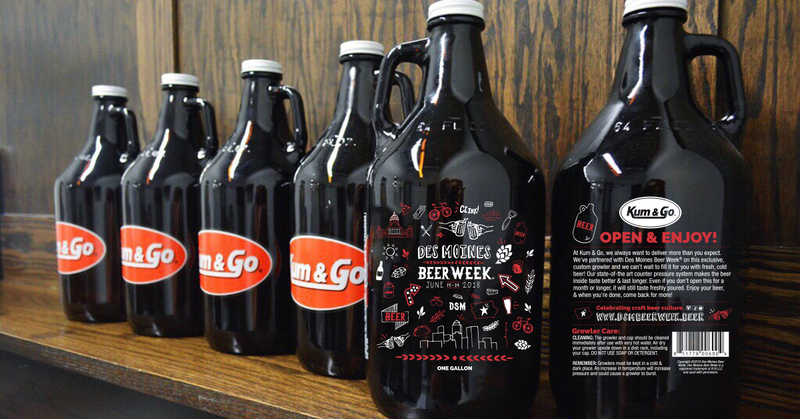 growlers available, exclusive to Kum & Go.